Almost everybody agrees that you need to optimize your content for people who search online, but what about people who share? While Erin Huebscher has written an excellent post on how to write copy Google loves, now we’re focusing on how to create content that people will love so much they’ll actually share it. We’re not talking about the proverbial “great content”. 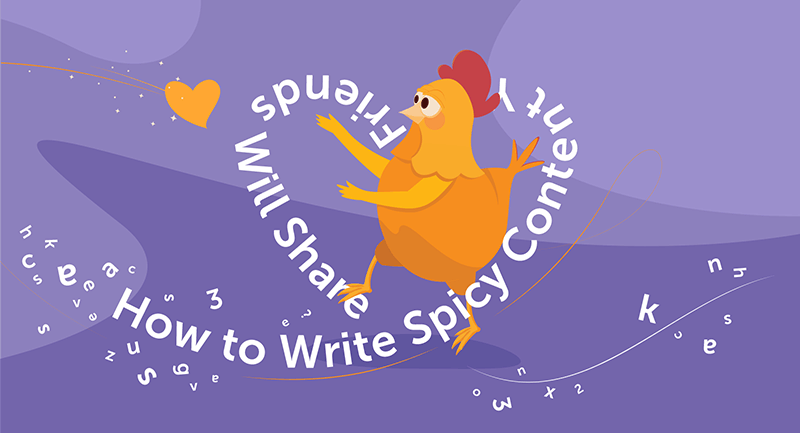 We are talking about making content spicy—without resorting to ingredients that are too hot to handle… if you catch my drift. How People Discover Content – They Don’t Search! Think about it! How do you find exciting, inspiring or intriguing content? Do you search for it on Google? Probably not. You most likely visit your favorite social sites and check out the shares by your friends or influencers you follow. You only search for things when you know exactly what you want. One thing remains the same: you look for what other close to you share! Writing for Google is a great way to get traffic to a site over time. For people to discover your content you need to make it shareable. People simply don’t share keyword-focused dull content. In short, your content has to be spicy. Nobody wants to embarrass themselves by sharing dull “me too” content. You need to spice it up! How Spicy Does Content Have to Be? No matter how you do it, you have to stand out and touch people on an emotional level. Users need to become literally aroused to share content—so science tells us, according to a study referenced on The New York Times. In this post, we will show you the major ways to make people share your content. Why will they share it? It’s because your content will be spicy! Before we start, remember that the best way to make content shareable is to use a modern open source content management system for online publishing. We recommend WordPress. Why WordPress? Many sites like Facebook make it hard to share the content you publish outside a certain group of people or outside their platform. What you share on Facebook only your ‘friends’’ will be able to access. When you write something on WhatsApp, nobody outside of it will be able to read it. Instagram makes it very hard to even link out while YouTube simply hides links in the description, and your viewers have to click to even be able to see them. WordPress automatically pings other articles on WordPress sites you refer to. Just link to someone and they will get a comment, or more specifically a “pingback” in their admin area. This way other publishers notice a mention and share your post because they are honored by your reference! What does a spicy content head and body actually look like? Never mind the juicy metaphors. It’s not what you think. We do not need to make it too hot. We don’t want to burn anybody. Just make it as tasty as possible. Here are the fundamentals. Some of them are pretty obvious, while others may be completely new to you. Make sure you check them all out. Headlines written for Google are often matter of fact, keyword laden and simply boring. On social media the opposite is the case. The most outrageous headline wins. But it’s important not to take things too far. The Number One Way to Get Rich Without Work. These headlines have been used and abused so much that Facebook and other sites already filter them. It’s still not advisable to give away everything right in the headline. For example, “Maya Angelou Dies at Age 88″ is a classic giveaway headline. There is no need to read the actual article anymore, other than to get some additional details. On WordPress, we usually have only one headline we can use. High-quality newspapers like The New York Times traditionally used two headlines on top of each article, or on the front page. This way they can add the down-to-earth essence of the news, plus some striking tidbit that will pique readers’ interest. You can put both the headline optimized for search and discovery into one HTML tag though. Just add the striking part at the start. People scan the first few (approximately five words of the headline) before they decide to go on reading, or they move on. Many tools do not even display more than a few words. The first thing you see after the headline is often the image that accompanies the post. On WordPress it’s called the featured image. In the mobile age, when most people view online content on their smartphones while on the go, it’s crucial to use vertical or at least Instagram-like square images. Most blogs still use horizontal images that look good on desktop or laptop computers, but get literally overlooked on small screens. Most people are too lazy too tilt their phone to see the full image. Pinterest is one of the few remaining services that allows users to leave their site with no additional obstacles. Others want to keep you on site as long as possible. Vertical images work best on Pinterest and can make hundreds or even thousands of people visit your site just because your image was visually appealing enough. You need to make people hungry for more: “spicy” but in a non-offensive way. Images of beautiful people wearing colorful clothes work well. Cute animals always appeal to the human psyche as do babies and other “little” things. Natural phenomena like mountains or beaches are a timeless way to attract people as well. It’s not just about Pinterest. Instagram is full of attractive people wearing expensive clothes. We want to show our best self online and we want to aspire to be like the people we consider to be perfect already. When you write something always add at least one attractive image on top. An image that shows just one thing with plenty of room for the eyes to rest upon it is best. You probably know it instinctively. An image of a young, stylish model gets less appealing once lots of random people are in the background. While everybody knows and agrees that a headline is the most important part of any text, the actual text or copy (body text) often still gets neglected. What happens then is that potential readers get tired quickly, especially on mobile. Their eyes get strained, they become restless and they move on when they can’t scan or skim the text anymore. You can use very short sentences. You can add line breaks after each sentence. You can add italics or bold to the key words of your message. You can stress significant aspects by using text-marker effects. You can also highlight intriguing tidbits with blockquotes. Indeed, The New York Times and other newspapers do just that. Ideally, you also use lists or even tables for data that is otherwise too complex or repetitive. Why do you need all of these gimmicks? Is it just to make it readable? Well, yes, kind of. People need to be able to scan your body text and find quote worthy snippets they can share on instant messengers, social networking sites or by mail. There are tools that simplify copy and pasting quotes from blog posts. Click to Tweet is probably the most well-known one. It’s a bit tedious to add such quotes manually though. There were other ones that automate the process of sharing text snippets from the actual content, but most of them have been discontinued as people were not yet used to quoting. Major news publishers thus often create scripts from scratch that simplify that process. In any case, you need to have short shareable snippets people can copy and paste with ease. 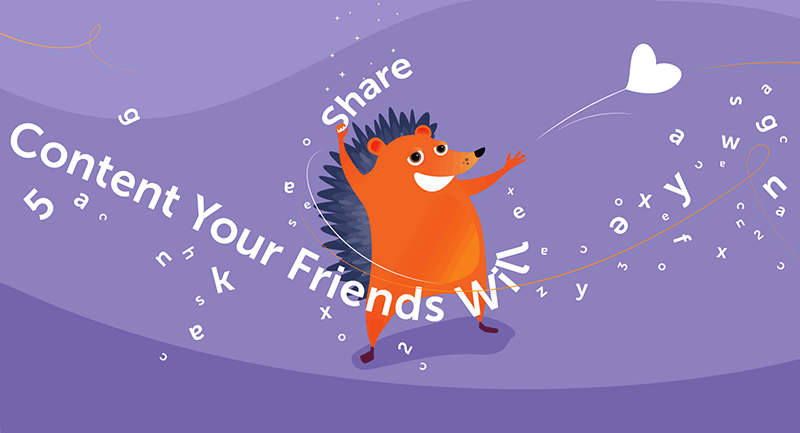 The easier the sharing the process the more likely visitors are to share. There is one exception: when you add Facebook “like” buttons readers will probably like and forget instead of engaging for real. WordPress has plugins that simplify sharing right from the content. Click to Tweet is the most prominent one but there are more options. 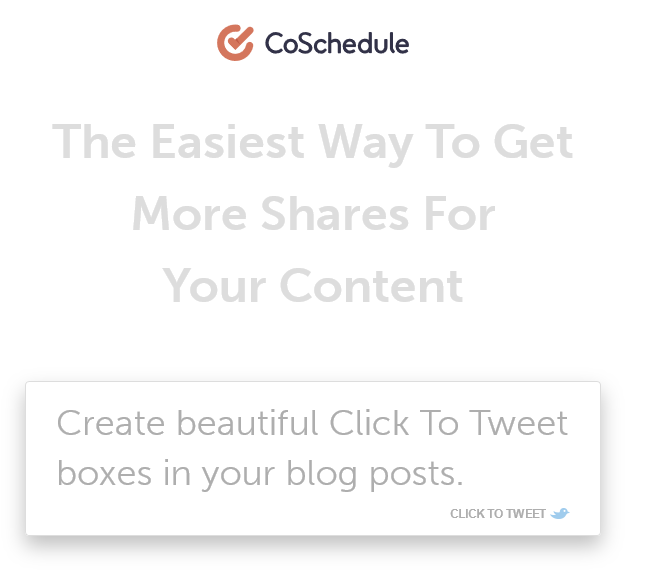 CoSchedule offers its own free click to tweet tool. When people can’t recognize the shareable snippets from afar because the content is not properly formatted they won’t do it. When “google” is a category it’s fine but when “google” is the actual post it’s not enough. Why should someone click it? Even ‘example.com/technology/googles-files-for-bankruptcy’ is still OK, even though some people will probably just read google-files and ignore the rest due to sheer instant boredom. This address will already be outdated on the 21st of February. It ostracizes viewers who don’t care for yesterday’s news. So, only use the date in the address when you publish breaking news on a daily basis. Everybody else should strive for publishing content that is as timeless and evergreen as possible. Remember that you will need to update posts down the line, months or years from now. When you have to change the address because the date is different, you actually move the whole post – and old links will go to nowhere. Your post won’t get shared when it’s old news. Old news does not just mean outdated news, but things that everybody knows already. You have to share news that is literally new! You have to add something new to the Web to get people’s attention. In the early blogging days, some readers would already protest when you posted something a day or two late—when other blogs had already reported it. You couldn’t even make the “mistake” of illustrating a post that consisted of an audio file with an image that was already known by the audience and the blog owner himself. That resulted in an outcry. In those days there were just a few blogs and such a scarcity of content that people would stick with you even if you messed up like this. Nowadays there is no such shortage. Content abounds all over the place. Internet surfers simply move on, riding the next wave of news and entertainment. Instead of just linking to an existing post, business people want to cover the exact same thing and “compete” with the other publications. That’s not only shortsighted and selfish, it also does not work. People have a finite amount of attention they can spend each day. Reading about the same thing twice is a waste of time most people will avoid. “Propelled by mobile devices, the average amount of content we consume on a daily basis has gone up by two hours a day just in the last three years! The content market works like any other market. Once it’s saturated in a given niche the demand for similar content drops to almost nothing. When you really have to cover the exact same topic make sure to add something new or different. Most ‘How-To’ posts, guides and tutorials can be improved upon in many ways. You can add more examples, screenshots, tool suggestions or simply depict the actual steps in a way even absolute beginners can fathom. One of the best examples of getting content right, that others have published before in a similar manner, is Brian Dean’s skyscraper technique. He just adds more substance when covering a topic, question or task. This way he literally overtook some of the most competitive keyword searches in the highly competitive Google optimization industry. In its most simple terms, the skyscraper technique is about building a taller highrise than the others. When competing against the 15 best tools for X, just make 20 tools. When rivaling 30 experts on topic Y just make it 50 experts on the same topic and so on. No matter how you do it, in the end, you need to add new information. Just regurgitating existing knowledge won’t rise above the current noise level. When you can’t come up with something new, you can at least offer a unique take on things. How? Well, every person is unique so it often suffices to be yourself and subjectively cover a particular topic. What are your personal experiences? Where and how did you succeed? And even more importantly, where did you fail and why? It may sound paradoxical but readers love personal stories of failure. They want to know how things went wrong and how you managed to get up again and tell the story. Bragging is the norm on the Web. Sometimes the sheer act of showing vulnerability and admitting defeat deserves attention. Photoshopped Instagram “realities” are great to look at but we all know that nobody is living the adventurous life all the time. Our little pet peeves, neurotic tics and weird hobbies make us who we are. Fashion magazine models may be beautiful, movie stars are famous, but average people want to know how others like them look at things and navigate through life. Blogging is the best medium to show yourself and your little quirks to the world. Nobody is perfect, and pretending you are often backfires. Nobody believes and trusts you then. Don’t be afraid of flaunting your inner geek. Be unique by showing your true self and you will attract a like-minded audience naturally. When you show your ugly, biased and unofficial side people can relate to you. Learning from mistakes is also one of best ways to progress. Why commit the mistakes yourself when you can read about others who made them before you? Be funny, opinionated and weird in your approach and get those people who “dig you” to share your content like there is no tomorrow. This is the main reason why fake news spread like wildfire. People want to belong and associate themselves with a perceived group. The less “neutral” you are, the more clear your message is and the likelier it is to draw crowds of like-minded fans. You don’t have to trick people, though. Be truthful and the real you will be enough. Everybody is trying to make a happy, successful and flawless impression. The person who doesn’t stands out automatically! One of the most difficult pages on any website is the ‘About’ or ‘About Us’ page. Why? It’s not about you actually. It’s about your visitors, and you do not even know exactly who they are! When you talk about yourself forever people just assume that you are a selfish person who doesn’t care about others—your audience included. This applies not only to ‘About Pages’ but to all content on any site in general. People do not just want to know about you. They want to know how you can help them with their problems, make their life better. Find out what makes the people who are likely to visit your site happy, and offer it to them. A website is like a Great Gatsby party: everybody is invited. They do not visit you because they are all your friends. They are strangers who share a common goal, desire or opinion. The more hospitable you are the more people you draw to your site. The more you give away the more you will get. Many site owners just promote themselves 24/7 and even automate that process. Most brands are guilty of that too, with a small exception who have dedicated customer service teams. You rarely find a company that is not afraid to link out to a third party source on social media. When you don’t share other people’s content, other people also won’t share yours. It’s not selfish media, it’s social media. Write about your audience by identifying and ideally solving their problems. Show them that you face similar challenges. Do not hide behind a brand or logo. Be a real person who cares for others. Even a CEO can be approachable to a broader public online. Industry leaders like Rand Fishkin are proof of this, and they get myriads of shares even though they are covering boring topics. The best way to show others that you care about them is to actually involve them actively in your content. The infamous ‘expert roundup’ is a common (but overused) way to achieve this on a large scale. You can involve other people by asking them questions, but you can also simply quote what they already said on their blogs or other publications. You don’t have to include 50 expert opinions in your post, five may be enough. It depends on who you quote and why. Just referring to the same few influencers everybody else courts probably won’t help. Their day has only 24 hours too. It’s better to reach out to your peers, or at least quote them. One thing many professional bloggers forget is that it’s not about being the most accurate and serious person. Often it’s much more important to reach people through emotion. You need to make people happy in order to make them share your content. That’s why videos of cute animals (especially cats) are so popular. They do not just appeal to the mind. They touch our hearts. How can you make people empathize with you? As mentioned above, you can show your weaknesses as well as strengths. Make people identify with you and you can evoke compassion as well. A proverbial happy ending to your trials and errors often suffices to evoke very strong feelings. Nowadays bots can write objective articles you can’t distinguish from those humans have written. What does it tell us about writing? If you don’t want to sound like a bot, add an emotional element ideally combined with storytelling. A bot can’t tell you about its latest vacation, show you pictures of its adrenaline-fuelled adventures or update you on its latest fiancee! When writing, remember that you are a human being writing for other human beings first and foremost. When you forget about the relationship you have with your readers they will forget about you as soon as they click the back button or close the tab. Human writers will be replaced unless they learn to be truly human and emotional. Even bots will attempt to write emotionally, but you can probably tell whether someone has ‘lived’ something or whether it’s just fictitious. People can relate to you and your emotions. The more emotional a message is the more likely it is to get shared. Statistics from millions of posts proves it.